We need some help designing a letterhead for a real estate company. The company logo is attached. 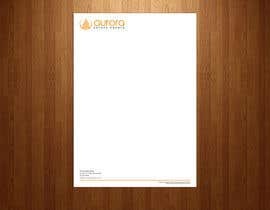 Some example letterhead have been included for you to get some ideas. - The letterhead needs to be professional, upmarket and unique. Could u please tell me Your envelope size? Please check the letterhead & envelope in entry no #31, #33.
is the font name "avenir book" ? should i use this font on the latterhead content? is it a free font?